The family of Maria O'Dell Mejia created this Life Tributes page to make it easy to share your memories. 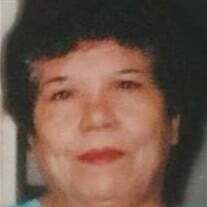 CASA GRANDE — Maria O&#39;Dell Mejia, 78, died on Nov. 22, 2018. Send flowers to the Mejia's family.